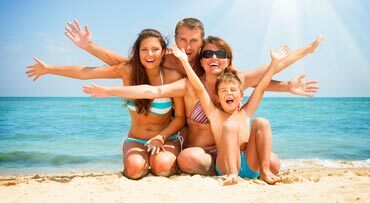 Prefer to request information or book your holiday by talking to us direct? The bar never closes. From June to September you can savour our cocktails and aperitifs with irresistible nibbles overlooking the sea, comfortably seated on the sofas on the promenade outside the Hotel, or in the small lounge area in the garden. Once a fortnight we invite our guests to an evening with live music, played by the Island's top musicians. Our wide and sunny freshwater swimming-pool is surrounded by a lush garden. It's open from 8:00 a.m. to 08:00 p.m. 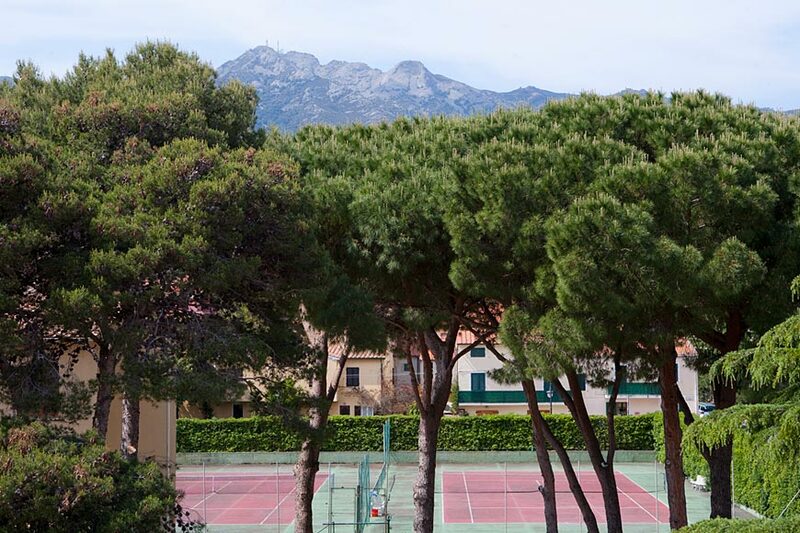 The hotel has 2 tennis courts and a tennis teacher (this facility is not included). Reservation is required. Free parking in the hotel area is at our guests disposal. Our staff is at your disposal to give you all kind of information and advises about every kind of excursions (cultural, diving, trekking, mountain bikes, kayak) or about boat trips around the beautiful Elba island or other islands of the Tuscan archipelago (visit www.elbadiving.it and www.ilviottolo.it). Here are some of our current offers for the whole season, for you and your family. 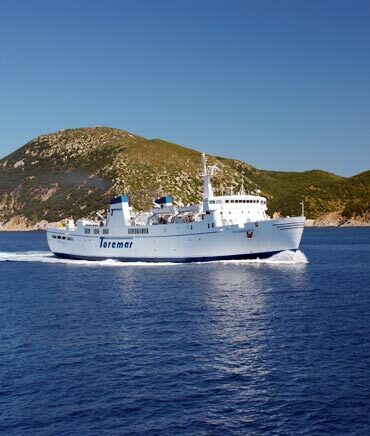 We've planned your holidays with children in mind, and we offer you a discount on the ferry that will carry you to one of Tuscany's loveliest destinations. This hotel is the perfect place for a romantic getaway as well as a place where families can unwind and share true quality time enjoying the many activities the hotel and the town have to offer. Their salt water pool is very therapeutic. 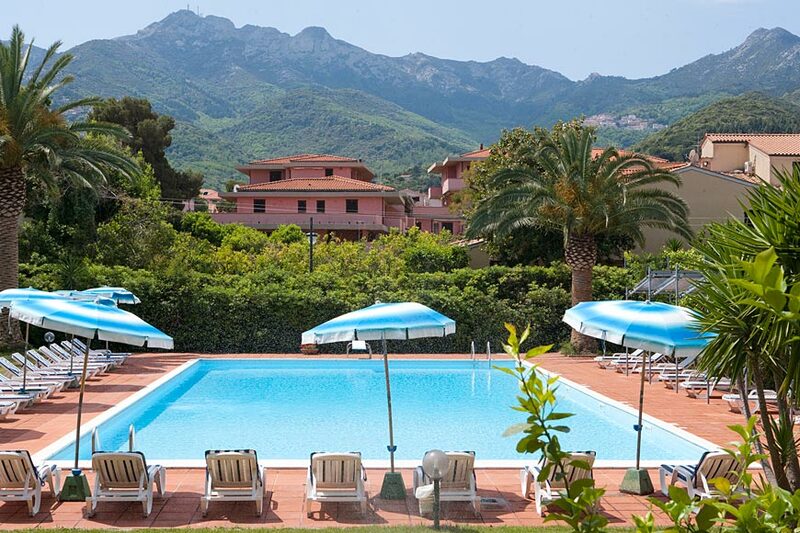 Soak up the sun, play tennis, swim, beach it, enjoy great food and Italian wine, and sip an espresso. This hotel has it all. It is a great place to make a life of vacation memories. Wish I could visit every year, many times each year. I'm looking forward to my trip next. The staff treats you like family, making sure you enjoy your stay. I have vacationed at this hotel since I was 9 years old, returning many times with my parents and then again with my children. Although this town never changes, no trip has ever been the same. The food is delicious wit h offerings of local fare. Their seafood dishes are their specialties. Being the only hotel in this town on the beach makes this a truly relaxing location. Live music evenings in the lounge bar next to the Hotel entrance with Trio delle Meraviglie. Read the comments or write one. We'll be delighted! Would you like to be informed about our offers or the main events?